Starbucks to offer Free Tea Friday in Vero Beach. The new iced tea beverage was developed by Melynda Cheng and Megan Droz and will be ready for on Friday for Vero Beach customers. According to the Tea Association of the U.S.A. Inc., nearly 84 billion servings of tea were consumed by Americans last year, and approximately 80 percent was iced tea. Starbucks has developed a new take on this beverage. “You get more of a true tea experience when you flavor green, white or black tea with herbal tea made from botanicals and fruit,” said Cheng. “Freshly steeped botanicals have subtle flavors that don’t overpower the pure and simple notes of tea, which then have a chance to shine through,” added Droz. The duo embarked on a journey last year to transform the way iced tea is crafted and flavored. 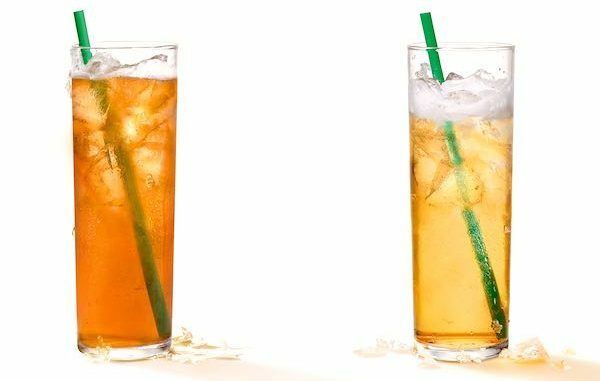 Starbucks introduced Teavana Shaken Iced Tea Infusions on July 11, containing tea, fruit and botanical blends, slightly sweetened with liquid cane sugar. These new shaken iced teas are made without artificial flavors and sweeteners and are 45 calories for a Grande-sized (16 fluid-ounce) beverage. Pineapple Black Tea, Peach Citrus White Tea, and Strawberry Green Tea will be available year-round at participating Starbucks company-operated and select licensed stores in the United States and Canada.